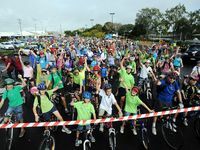 Hundreds of riders, both young and old converged on Riverside Parklands to participate in the City to Coast Community Bike Ride 2011. 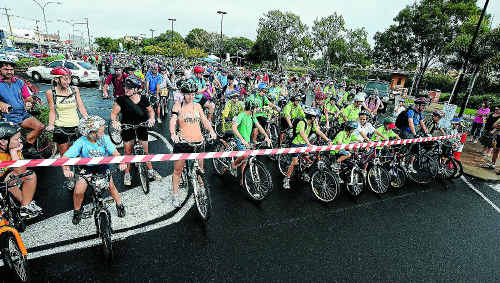 SHOWERS did not deter the hundreds of keen pedal pushers in yesterday's Coral to Coast bike ride. 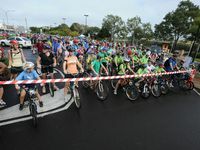 More than 500 people turned out for the 20km ride, which started at the Riverside Parklands and finished along Sea Esplanade at Burnett Heads. 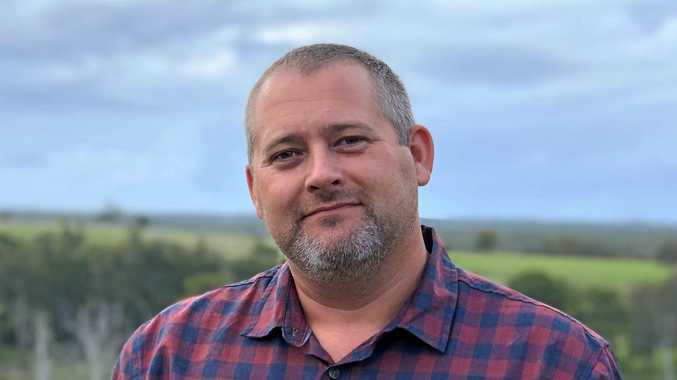 Race organiser Roy Fraser said he was pleased with the roll-up. 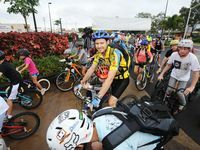 “Close to 200 of those riders were children under the age of 12,” he said. Although the ride was not a race, Mr Fraser said everyone had been a winner. “They all hung around and enjoyed themselves, sitting back and relaxing afterwards,” he said. “It turned out to be a beautiful day. Preparations are already being made for next year's ride.